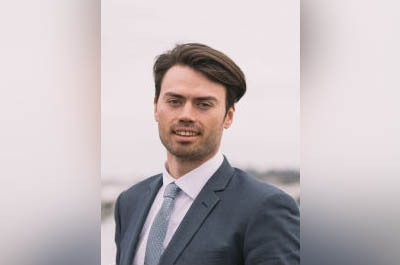 NZ Adviser talks to Auckland-based mortgage adviser Brandon Lipman from iRefi Mortgage Specialists about developments within the adviser industry, the challenges and rewards of the job and his most memorable client experiences. Lipman was named a Top Adviser in our second annual Top Advisers Rankings 2018. There’s certainly been an increase in the amount of lending written at the second tier level. Bank policy has changed significantly, keeping most advisers and firms on their toes to best place lending for ideal client outcomes. Helping clients build on their existing financial literacy (regardless of their level) and teaching them a little bit more about the mechanics of a mortgage as well as their bank offerings. I wouldn’t necessarily say that there are any secrets to success other than finding out exactly what the client needs, and delivering it. When you uncover this area and over-deliver as a broker, you create advocates. A positive mind-set and a strong focus on providing positive outcomes for clients. If you have the above, you can’t really go wrong. Doing a heck of a good job and then asking for some! There have been several clients who I’ve helped that had mispresented their applications either by going directly, or through another adviser. There’s often a weak point or an Achilles Heel in every application that needs to be addressed, either by way of expectations of the client or explanation to the bank. By catching this early and working through the scenario with the client and lender, you can turn outcomes around. It puts pressure on the industry to increase their competency and sharpen up. The number our industry needs to focus on is the market share of lending drawn through advisers. By holding everyone to the same level of service and higher level of competency, the share of Kiwis wanting to use an adviser increases. I play basketball and watch the NBA. Take a second look at KiwiBuild. Save some cash first, find a mentor or firm that shares similar values, and then get writing.